A little over 12 months ago, there were doubts as to whether or not Anthony Cunningham would be given another term in charge of the Galway senior hurlers. They had been knocked out of the All-Ireland race and some supporters were impatient but the St Thomas’ clubman, who had just completed three years in charge, clearly believed in the players. “You always want to stay with a team you believe in and I believed that these guys have talent. We have worked hard in the last three to four years in bringing the standards up. Kilkenny have led that. The work that goes into inter-county teams now and what they do on their own is massive and I am delighted to have had the chance of working with this group,” he said. 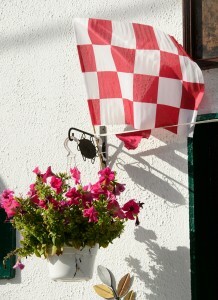 Galway colours on display in Gort. 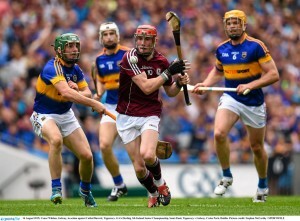 Looking ahead to Sunday’s date with Kilkenny, he confirmed that the Tribesmen have no injury worries. 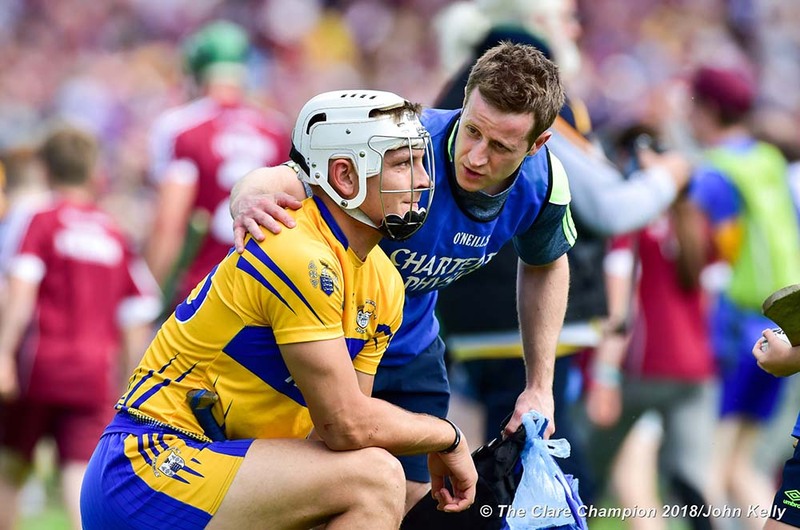 “We came out of the game the last day [Tipperary] really well. Conor Cooney is back training and doing well but probably short in game time. He has had a very tough year, suffering a serious injury in January and it refractured later and he had to have a pin put in it the second time. He had some other injuries which affected his leg and his hip. It took a huge amount of rehab to get back. He was down in the dumps but is delighted to be back now. He was probably our player of the year last year and to see him out due to injury was really difficult but it’s good that he is back now”. 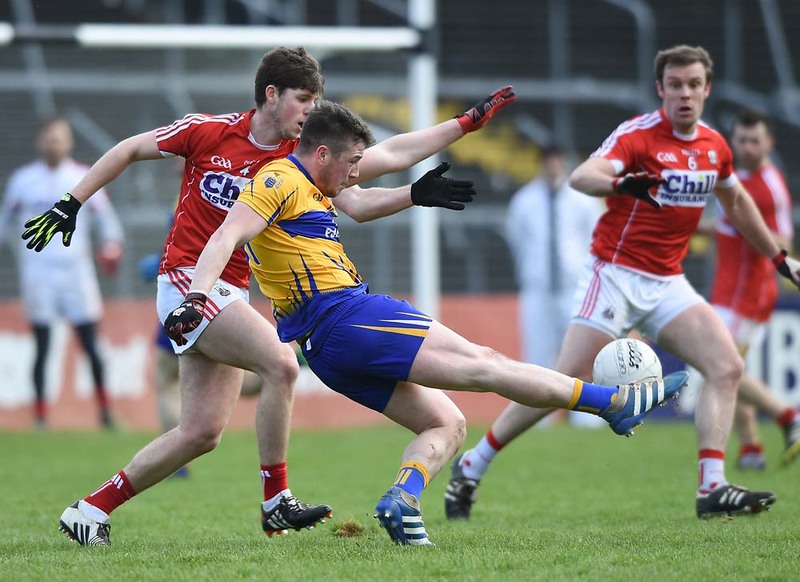 The loss to Limerick in the All-Ireland U-21 semi-final left “everyone disappointed”. “We all thought that they had a team capable of going further. The players involved from our panel are fine. It’s also good to get a reality check,” Cunningham noted. The Galway boss said he watches a lot of DVDs of games. “I would look at them a lot, looking at stuff you want to improve on. We don’t over-analyse either but looking to pick up points where can we learn. We want more improvement, we want to improve every day and it’s the same with everybody”. Asked if he really believed that Galway would meet Kilkenny in the All-Ireland final when he made the prediction after the Leinster final, he said, “For us, the Leinster championship was over and a new competition was starting. There is no point in being here if you don’t believe you are good enough to win the All-Ireland. What is your ambition at the start of the year? It’s to win the All-Ireland and, for us, that’s always the case. If you are still in the All-Ireland competition at July 7, to me it’s the same as January 1, you are still in there. We had gone quite close, there was only three points in it in the 62nd minute. It’s the same with all games against Kilkenny. It’s a fine line. “The big thing staring you in the face is you are in Croke Park playing the All-Ireland champions. And you do have to understand where you are and what level you are at. For us, the minute the match is over, it is all about preparation for the next game. There is only one day you can relax and that’s the day after the final,” he added. Referring back to the 2012 campaign he said, “We were well bouyed by the performance. We would have been disappointed with aspects of our play. You learn from Kilkenny, they are the best. In 2012 they were beaten, they rectified their mistakes and got on a very good run through the qualifiers. They went close to going out but improved every day and we have got to do that, we have to improve on the Leinster final,” he stressed. He agreed that their performances in 2013 were disappointing. “It was hard to buy a performance in 2013. We were flat in the Leinster final and it did take some new players to come in to help us get back. Last year we went very close, we came close in Tullamore the first day, we were nine points down but came back strongly. We were disappointed the second day. We have a new team really, a very, very young team. We are dying to win this one, as we think it would set us up for a number of years,” Cunningham said. “The league is very important and for us it’s about blooding players and being able to balance that, without getting relegated, as everyone wants to play in the top division. The league is important and we tried almost 30 players this year. Every team had one bad day and ours happened to come in the Waterford game. We didn’t realise how good Waterford were at that stage. Some supporters weren’t satisfied after that and some supporters were questioning where is this team going and that is inevitable because of the length of time since Galway won,” he explained. He believes the gap between games has been crucial to the team’s progress to the final. 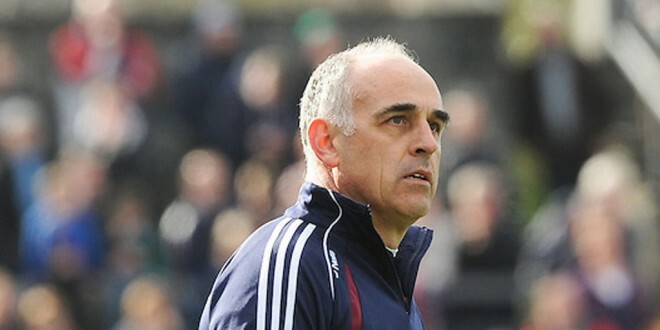 While he believes Galway were okay in the Leinster final against the top players from Kilkenny, he noted, “We will need to up that against the likes of TJ Reid and Ritchie Hogan. Those players are fantastic, the best two in the country. So much revolves around them. We have got to be, defensively, really better that we were the last day. This is huge for us and we have got to improve. It’s great to have a benchmark. We know there is not one but two or three of them, Ger Aylward, Colin and Michael Fennelly, top, top class players. Give them an inch and they will really put you to the sword. 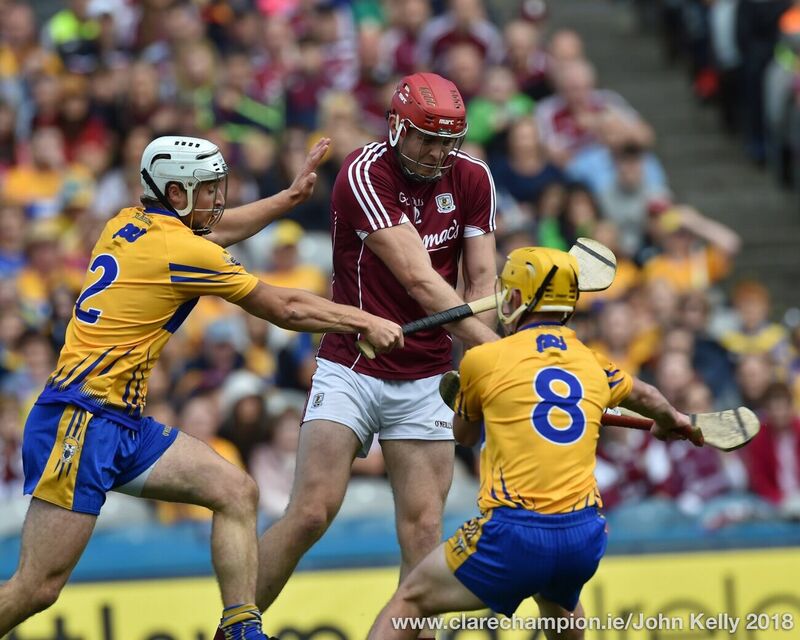 We have to be so strong in defence and much, much better than we were against Seamus Callanan,”, the Tribesmen’s manager concluded.